On Monday mornings I have been going to a friends place, to join with a beautiful group of ladies for a Bible Study. It has been such a timely study in my life (in all of our lives) and being on a Monday morning, it's a lovely start to the week. I thought that I would share it with you so that you could enjoy it too if you wanted! It's perfect for individual or group settings. I enjoy group settings the most for a few reasons; one being the accountability to get the 'homework' done so that you experience rich growth, two because it's so good to witness how God is working in all of our lives (and to encourage one another), and three, well, it's always nice to get together with a group of like-minded women to fellowship! The study is called 'Becoming a Woman of Simplicity' and it's written by an amazing Christian lady named, Cynthia Heald. You may have heard of her, if you have you will know how biblically accurate and encouraging, and sometimes (more-often than not!) correcting her Bible studies are! If you haven't heard of her and you are after something to encourage you in the areas of staying focused, removing distractions, not being pressured by deadlines, people etc., then this study is perfect for you. It teaches how we really don't need to be living a stressful, world-driven life, but a life in-step with God; drawing from His strength, guidance, leading and peace. A God paced life. Cynthia states that the key to 'all this' life is to have the focus of our hearts being single-mindedly devoted to knowing and loving Christ. 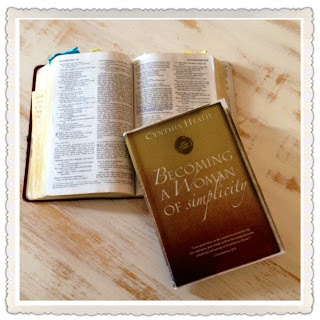 Cynthia gives beautiful teaching from truths lived out over her life; she lives out what she speaks out. The blurb on the back of the book. 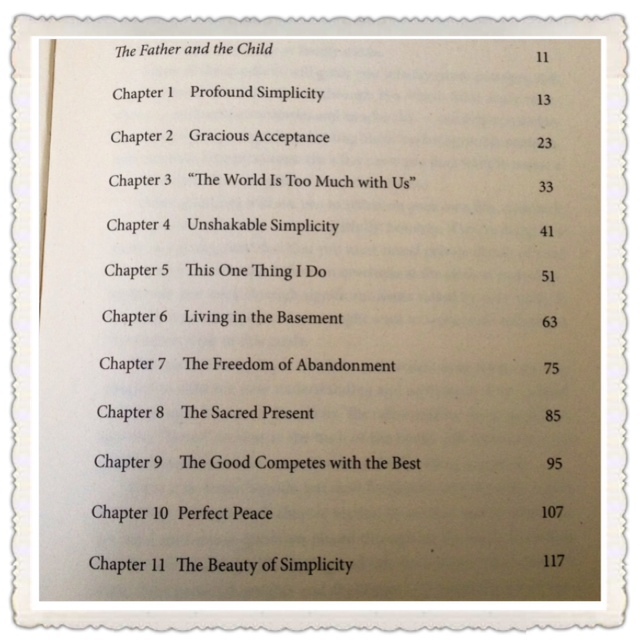 The chapters discussed in the study. A passage that hits the nail on the head. Cynthia was even kind and gracious enough to reply in person (using our names) to an email that our Bible study leader sent to her letting her know how much growth we have enjoyed through this study! Such a lovely lady with such a beautiful faith. 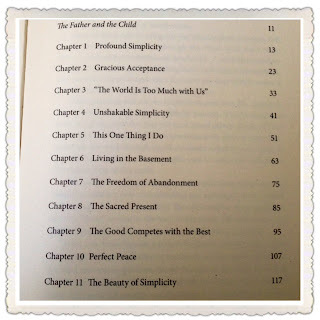 I look forward to learning through the rest of the study in the next few weeks. Thankfully, all of us have decided to go on and do another of Cynthia's studies together after this one is finished! It does us good to challenge and work out our faith, to stretch ourselves a bit and let God do His work in us! And Cynthia, if you ever read this post (highly unlikely I know! ), thank you so much for your wisdom and for your obedience in using your gifts to bless the lives of women in His Name, I'm sure there have been many. I'd love for you to pop back and let me know if you've done any of Cynthia's studies, or plan to do this study and how it goes for you! Hi Elisha, I enjoyed reading your post immensely! I too have done all of Cynthia Heald's studies! When I was first married 20 years ago, there was a lovely older woman who took all of us 'young married women' under her wing and challenged our socks off! Over a period of a few years she had taken us through a majority of Cynthia's studies.. thus paving the way for growth and 'right thinking' for our journey ahead. I look back now (at the age of 40) and am so thankful for the women who 'took me on'. I desperately wish there was an older woman in my life now to guide me and encourage me.. but I fear I have become the older woman now and pray that I don't falter along the way. I look forward to reading about your next study and watching you grow through it. May God bless you as you take His hand. I love your blog btw..Your family is so precious. Thank you for your encouraging words! I am pleased to hear that Cynthia's studies have helped you to grow so much in your walk with the Lord over the years, and that you now have the opportunity to pass on your life lessons to others who need it. It's a great reminder that we are to give into the lives of others and help them by sharing the lessons we've learned along the way. 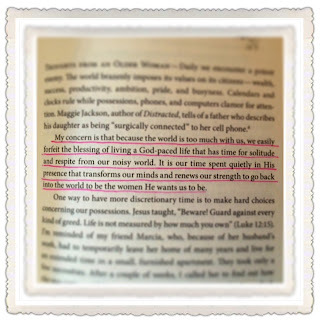 God's wisdom and grace will equip you when you are speaking into the lives of other women. I'm looking forward to the next study too, and will do a post about it as well. I'm pleased you enjoy my blog. I think my family's pretty precious too, thanks! What an encouraging post! I will recommend this to the lovely group of ladies I belong to as a suggestion for when we have finished our current book! Hi Carli! I'm so glad to hear that this post encouraged you. 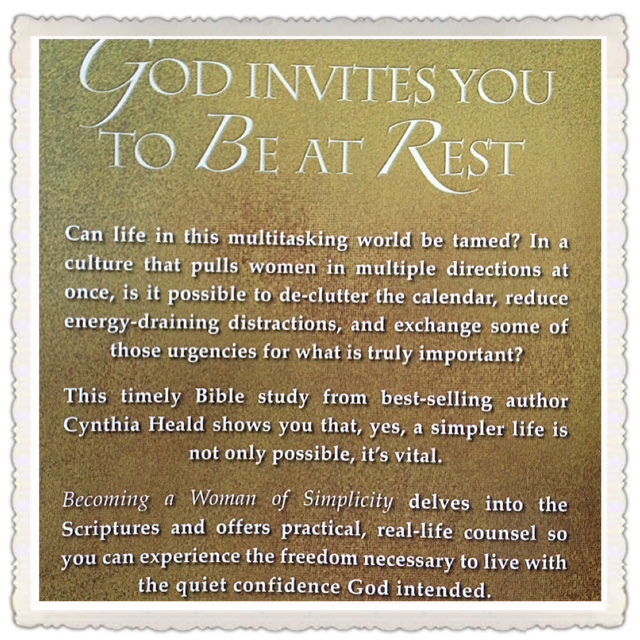 I would love to hear how your study goes with your group of women if you choose to do one of Cynthia's ... I'm sure you will all be greatly blessed!